Nipsey Hussle on the verge of cooking a project with Meek Mill has reported passed away after been shot six times. The news breaks out of whisper straight from the time he was shot at his Marathon Store in LA, which was his clothing store that he opened in 2017. At the first stage, the news suggested that two people where shooted but wounded which Nipsey was one of the Victimized person. 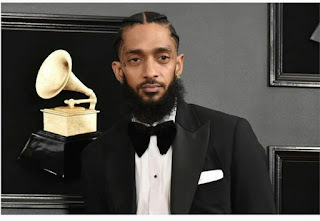 TMZ has then reported exclusively to Amahiphop following what recently happened in Nipsey shopping store. MZ told that the rapper passed away after triggered six time. He was on top of the world too after his 2018 effort Victory Lap was heralded as one of the best albums of last year and earned a “Best Rap Album” GRAMMY nomination as well. We’ll continue to give you any updates as they come in but for now, our thoughts are with his loved ones. Rest in peace. Gone way too soon. Hip-Hop is currently under plight as the rapper was reported dead, meanwhile Lil Pump is other rapper who recently noted his own death.